Multiple large news outlets are running stories today about the role of alcohol in promoting breast cancer risk. 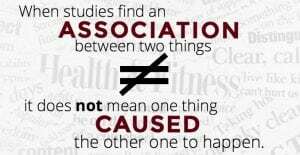 All of these headlines are misleading and for a relatively simple reason: The evidence supporting the claims comes mainly from observational studies that can’t prove cause and effect. So any claim that one alcoholic drink a day “increases” risk, or that exercise “lowers” risk, is an overstatement of the evidence. It’s a claim that one caused the other when we simply don’t know if that’s the case. Observational studies play an important role but their limitations must be recognized and explained. 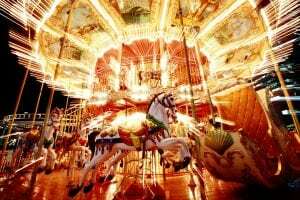 “I don’t think that it can be over-emphasized that making claims of causation from observational studies is risky,” says Andrae Vandross, MD, a hematology and medical oncology fellow at UCLA who’s also a HealthNewsReview.org contributor. The AICR release suggests that the findings are conclusive because they are based on pooled results from multiple studies. But even when a number of observational studies all point in the same direction, that doesn’t necessarily mean that the studies are leading to the correct conclusion, Vandross cautions. “If a large number of observational studies show a correlation, does this provide a higher level of certainty? It’s not clear that this is the case,” he says. The problem with observational studies, which typically ask volunteers how much they drink and then see who develops cancer, is that they can’t fully account for a host of other factors that might have influenced the findings. For example, people who do or don’t drink alcohol, or who do or don’t exercise regularly, probably have many other characteristics — diet, employment, financial status, smoking history, etc. — that could influence their cancer risk. Teasing out those factors is tricky business that’s liable to go awry — and it often has in the past. No hint of such complexity was to be found in the AICR news release, however. “There were a lot of modifiers used in the full report to express some limitations of the evidence, but the press release makes it sound black and white,” says Mandy Stahre, PhD, an epidemiologist and breast cancer survivor. Perhaps because that context was missing in the news release, many of the news reports on the study also lacked a balanced discussion of the evidence. 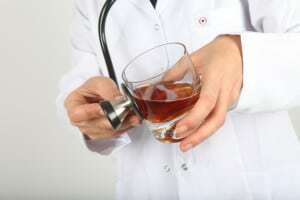 To prove that an alcohlic drink a day increases cancer risk, researchers would have to assign volunteers to drink or not to drink alcohol and then tally how many in each group get cancer. Only that type of study — a randomized controlled trial — can confidently assure us that some other factor isn’t responsible for the results. A randomized controlled trial of alcohol consumption is probably never going to happen. 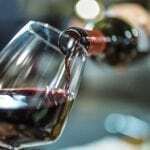 Researchers say that it would be unethical to assign healthy volunteers to drink booze, which has many established health risks apart from its possible association with breast cancer. And that’s another point worth emphasizing: alcohol at higher intakes is firmly associated with a host of health problems, and even some skeptical evidence analysts think the association with breast cancer at lower intakes is likely to be real. “So much so, that many of us have cautioned patients with higher risk of breast cancer to avoid daily alcohol consumption,” says Kathleen Fairfield, MD, an internist at Maine Medical Center and a health services researcher at the Center for Outcomes Research and Evaluation. What does a 5% increase mean in terms that people can understand? But few stories took the time — as the BBC did — to question what those numbers really mean. The point is this: A 5% increase to an already-big risk might arguably be something worth worrying about. But a 5% increase to a small risk is likely not going to be meaningful to most people. And if the number isn’t meaningful, why are we trumpeting it with a headline that’s going to whip up needless worry? 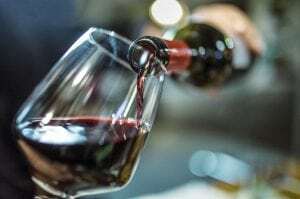 And why aren’t we helping readers evaluate competing media messages — also based on preliminary observational research — that light alcohol consumption might be beneficial because of its association with lower rates of heart disease? We’ve been down this road before with the AICR, some of whose messages seem calibrated to generate maximum media buzz without sufficient concern for the larger context. Such PR statements are part of the machinery that keeps the health news merry go round spinning. I want to remind everyone that HealthNewsReview.org isn’t here just to critique — we want to help. News release writers and journalists can avoid the problems flagged in this post simply by applying our 10 criteria. We have a toolkit of resources, one of which is devoted to helping writers craft messages about observational studies. We also have plenty of tips about how to write better headlines. The words matter, and our team of 50+ expert contributors can help you choose better ones.